A pharmacy technician assists in the delivery of medication and other pharmacy products under the supervision of a pharmacist. Due to higher standards and stringent training and certification requirements, Iowa’s pharmacists demonstrate their confidence in their technicians by delegating numerous tasks that do not require a pharmacist’s professional judgment. Iowa’s Board of Pharmacy is one of a few State Boards that mandates national certification for all technicians. Technicians and prospective technicians must also complete formal training at an accredited provider or from an employer-sponsored program. Training gives technicians a broad knowledge of pharmacy practice and the skills needed to prepare and package medications, manage inventory, calculate dosages, and maintain patient confidentiality. Iowa’s regulations give pharmacy technicians the freedom to perform many of the duties of a pharmacist. However, the pharmacist supervisor must check the medication before dispensing to the patient. Any individual employed as a pharmacy technician in Iowa must obtain and maintain a current registration with the Board. The individual must submit the application for registration within 30 days of commencing work. Students enrolled in a pharmacy technician training program must also apply for registration as a pharmacy technician trainee before commencing the practical portion of the training. Anyone who fails to register and maintain national certification (Certified Pharmacy Technician) may be subject to disciplinary actions. Iowa’s established rules for registration ensures pharmacy technicians have the competency and skills required to complete their duties on the job. Registration also helps the Board to keep track of pharmacy technicians and administer disciplinary action when needed. After receiving confirmation of registration, a pharmacy technician must renew the license biennially to continue working in a licensed pharmacy. There are no continuing education requirements for renewal. However, the technician must maintain certification with the PTCB or NHA. Technician trainee licenses expire one year following the date of issue and are not renewable. Employers should verify a technician’s active status with the registry as pharmacists are ultimately responsible for the actions of a pharmacy technician (trainee) within their care. Pharmacy interns who work as pharmacy technicians are exempt from the registration requirements if they’re in good standing with the Board. Pharmacy technicians and technician trainees must be at least 18 years old when applying for registration with the Board. Both the PTCB and NHA require applicants for certification to be 18 years or older. Although the Board does not request proof of high school completion, applicants cannot obtain PTCB or NHA certification (to register in Iowa) without a diploma or GED. Individuals must also complete pharmacy technician training from an ASHP accredited program, accredited college, or approved pharmacy employer. 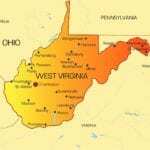 An applicant for registration must declare any history of felony or misdemeanor crimes. This includes any guilty pleas or no contest to felonies or misdemeanors – does not include minor traffic violations with fines under $100. Provide supporting documents along with your application if you answer “yes” to any of the criminal history questions. Iowa’s Pharmacy Board recommends pharmacy technician programs accredited by the ASHP or accredited colleges. They also recommend employer-based training where a pharmacist develop, implement and update a program to equip technicians with essential knowledge, skills and abilities. The pharmacy must document and keep records of the technician training for the duration of employment. During training, students learn medical and pharmaceutical terminology, pharmaceutical calculations, and pharmacy laws. Anatomy, identifying drugs, dispensing drugs, communications and patient confidentiality are other major components of the coursework. Accredited programs provides preparatory training for those seeking national certification, which gives students the confidence to obtain a passing score on national exams, such as the PTCB or ExCPT. Colleges like DMACC West Campus requires students to complete clinical rotations in both a retail and hospital setting, which gives them exposure and competency to work in any pharmacy setting. The clinical rotation is a critical component of pharmacy technician training; students cannot graduate without completing the hands-on training at a community or hospital pharmacy. Training providers may conduct a criminal background check and require students to take a physical exam, and pass a TB and drug test before participating in the clinical externship. 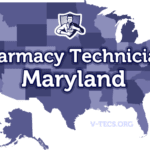 The Board of Pharmacy requires students to apply for registration as a pharmacy technician trainee before the practical component of the training begins. The average cost of $2,450 does not include expenses for textbooks, uniform, workbooks, national certification, criminal background check, and other supplies. Financial aid may be available for qualifying students. The duration of the program depends on the type of credential awarded at the end of training. Certificate programs run from 6 to 12 weeks while diploma and degree programs can last up to 56 weeks. Employer-based training remains the preferred mode of training for many Iowa technicians as it affords students an opportunity to train for free while earning an income. Employer-based training may be up to 12 months long as the pharmacist-in-charge trains technicians in all aspects of the services they must provide to the public. There are a few drawbacks to employer-based training: there might be a long waiting list for training (recruiting new employees) due to low turnover in the industry and fewer opportunities are available as understaffed employers hire pharmacy technicians who are already trained and certified. Iowa’s pharmacy technicians must pursue certification through one of the two major certifying agencies: the Pharmacy Technician Certification Board and the National Healthcareer Association. Technicians who successfully pass the exam and meet the requirements of either agency can bear the CPhT credential. Both agencies require applicants to hold a high school diploma or GED, pass a criminal background check, and obtain a passing score on the exam. Certified technicians must meet the annual continuing education requirements to maintain their CPhT status and renew their registration with the Board of Pharmacy. Since certified technicians are bound by a strict code of conduct and ethics, there are fewer instances of medication errors and violation of patients’ confidentiality in Iowa. The PTCB is a nationally recognized and the older of the two certifying agencies. They not only ensure pharmacy technicians have the basic skills to support pharmacists on the job but also have strict continuing education requirements to improve critical thinking and boost staff retention. The PTCE is available at more than 200 Pearson Vue testing centers across the nation, including several centers in Iowa. Pharmacy technicians can complete training to improve their chances of success on the exam. However, the PTCB does not require applicants to complete training before taking the test – that will change by 2020. Applicants must submit a request online and pay the $129 fee. The exam is two hours’ long and comprises of 90-multiple-choice questions. The biennial renewal fee is $40. The ExCPT is another option for certification that is recognized by a growing number of states, including Iowa’s Board of Pharmacy. Apart from the standard age, criminal history, and education requirements, the ICPT requires prospective CPhTs to complete formal pharmacy technician training or at least 12 months of employment before taking the certification exam. Students receive their results immediately following the 2-hour, 110-question computerized test. The fee for certification is $105, and renewal is also every two years. There are two registration options for Iowa’s pharmacy technicians. Those who have not completed the requirements for national certification must register as a pharmacy technician trainee and register again as a Certified Pharmacy Technician before the trainee license expires. An individual who is nationally certified by the PTCB or NHA can apply for registration as a certified pharmacy technician. All applicants must be at least 18 years and provide information on their educational background, criminal history, work experience and current employment on the application form. 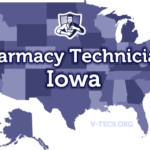 Iowa defines a pharmacy technician trainee as an individual who is training to become a pharmacy technician or someone who is pursuing national certification through one of the national certifying agencies. Following are the steps for registration. Print a copy of the application from the Board’s website and answer all questions. Provide your social security number, educational background, criminal history, and current employment. If you’re registering as a prerequisite to training as part of a college-based externship, you should make a note on the form. Include copies of your high school diploma and other education completed. Include a copy of your state-issued ID and social security card. Enclose the $20 application fee using a check or money order. Make check payable to the Iowa Board of Pharmacy. Include supporting documents if there are criminal convictions in your past. Double check the application before mailing to the address provided below – the Board will return incomplete applications. Pharmacy technician trainee registrations are non-renewable as technician trainees must register as a Certified Pharmacy Technician within one year, starting from the date of employment. If the technician does not obtain national certification within the one-year period, he/she cannot continue to provide services or train in the pharmacy. After passing a national certification exam and acquiring CPhT certification, a pharmacy technician trainee can register as a Certified Pharmacy Technician in Iowa. The process is the same as listed above. However, the applicant must provide a copy of the PTCB or NHA certificate and pay the $40 application fee. If the individual fails to register within 30 days of commencing employment, the Board will assess a $40 penalty, so the total cost of registration will be $80. Applicants must complete all the questions for registration as the Board will return incomplete applications. Certified pharmacy technicians’ licenses expire on the last day of their birth month every two years. The Board sends a renewal application to the licensee’s last known address at least two months prior to the license expiration. If you did not receive the renewal application in the mail, you can print a copy from the Board’s Website. Inform the Board of any address or name changes within 10 days of making the change. Pay the renewal fee using a check or money order. Failure to renew your license on time would cause your license to lapse into a delinquent status. The penalty for late renewal is $40; the fee increases in $10 increments with each passing month up to a maximum penalty of $70. 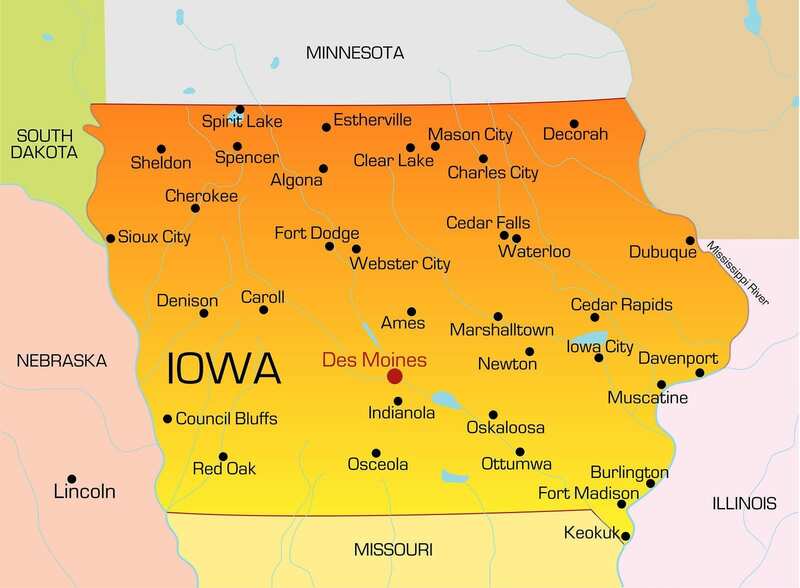 A pharmacy technician who is licensed in another state should follow the procedure for a new registration as Iowa does not practice reciprocity with other states.